There’s no point having a nice-looking website if you are not driving traffic to it. That’s like arranging an awesome party but forgetting to invite anyone along… #awks. Yes, I have recently organised one and so have it on the mind! 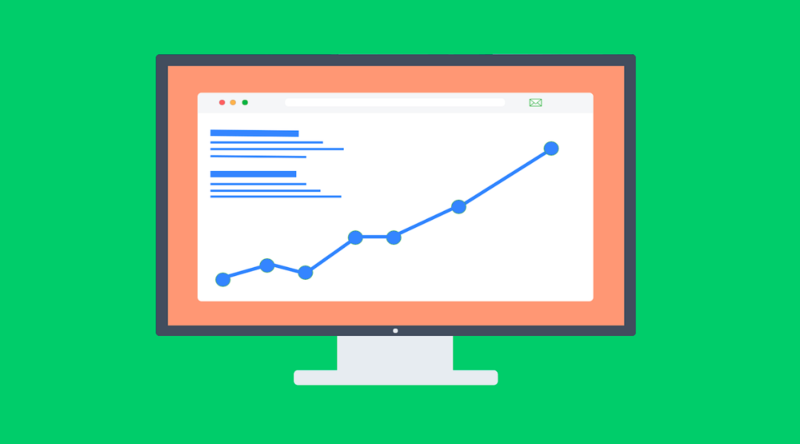 One way of getting people on your website is working on how you rank in organic search results, and you’ve probably guessed it, that’s where search engine optimisation (SEO) comes in. What is SEO I hear you ask? SEO is all about making sure your website and pages show up in search engine result pages (SERP), when someone types in specific keywords or phrases related to your business. SEO is by no way easy. What doesn’t help is Google are always changing their minds (they’re indecisive like that) about how they rank a website. They’re forever rolling out new algorithms left, right and centre. You could outsource SEO to an agency, however, if purse strings are tight, there’re a multitude of tools out there which can help in your efforts. Some free, some you have to pay for, but as luck would have it, I have put together a list including the ones I think are the best. You are welcome! Ahrefs is an awesome tool that allows for backlinks and SEO analysis. Users can analyse their own and competitor’s backlink profiles, explore most profitable keywords, find the most shared content, suggest keywords and show traffic estimations, track desktop and mobile rankings, analyse common SEO issues etc. This tool is specifically geared around finding the most profitable keywords. Geared with this knowledge, SEMRush helps users optimise their website, create content they know their audience is interested in and improve the overall experience for visitors. Does what it says on the tin. KWFinder is a keyword research tool that helps users identify the best long tail keywords with a decent amount of search volume but low competition. Previously known as SEOmoz, Moz, started off as a blog and online community where SEO experts would share their research and ideas. Today, Moz is a leading SEO tool provider that encompasses both basic and advanced research tools that will help you to improve your SEO. They are continually rolling out new features and uses of their tool. Use Moz to check the health of your site, carry out competitor analysis, find link opportunities, conduct keyword research, perform spam analysis etc. You name it, you can do it. SpyFu is an industry-leading competitive keyword research tool with some awesome features including keyword rank tracking, estimated advertising spend, SERP analysis, backlink reports etc. Majestic has some great features including; site explorer (detailed information on specific URLs or domains), backlink history checker (find out who is linking to your website), search explorer (search Majestic’s index for important things like keywords and page titles), keyword checker (search their mahoosive index for specific words and phrases, see how often it appears on the web and get search volume for keywords), plus many, many more. Easily one of my favourite tools, not only does it have an awesome name but Screaming Frog also gives you detailed and useful information about your site. It basically crawls your site and gives you helpful data such as broken links, optimised title tags and meta descriptions, word count for a page etc. Status Cake is a website monitoring tool, which checks factors like website uptime and performance. Get instant alerts the moment your site goes down and obtain invaluable insights into how your website’s performance is impacting website user’s experiences. Little Warden monitors key website changes. This is very handy if there are a few of you making regular changes and people aren’t updating each other. This tool does routine checks on expiration, status, change monitoring, indexability, content, sitemaps and malware. With Siteliner you can look into your website for key issues that could be affecting how you rank including; duplicate content, broken links and page power (pages that are the most prominent to search engines). If you ever get stuck on what to write a blog on, turn to Answer The Public. Enter keywords that are related to your business and this tool will suggest content ideas in seconds! Content ideas are based on the auto suggest results provided by Google and Bing. Never be stuck for blog titles ever again! SEOquake is a plugin for your browser that provides users with organic research data at the click of a button. SEOquake has other useful tools including SEO audits, keyword density reports, internal and external link analysis and social metrics. Fatrank is also a plugin for your browser and allows users to find where websites are ranking for specific keywords. Go on to a website, open up the plugin, type in a keyword and see where it is ranking. Easy as A, B, C.
Another plugin for your browser, Keywords Everywhere gives you data (including competition, search volume etc.) on keywords. Compatible with Chrome and Firefox, whenever you conduct a search you will get data on the keyword or phrase you type in. It will also suggest other keywords and phrases. Browseo is a web app that allows users to view any webpage without distractions caused by styling and format. It also shows the parts of a page that are crucial for SEO. Get data on server response code, if redirects are used, number of words on a page, headings, meta information etc. Google Mobile-Friendly Test – test any page on your website to see if it is mobile friendly – this is important as Google has started to notify when pages and websites aren’t mobile friendly. Google PageSpeed Insights – test any page on your website to see how fast it loads and get recommendations on how to improve it. That brings me to the end of my blog! I hope you have found it helpful and now feel armed with an assortment of tools to try! If you would like to talk to us about SEO, we’d be all ears. We also offer SEO services! We’re nice like that. I’d like you to contact me regarding my query only. I’d like you to contact me regarding my query and would like to receive marketing updates from LikeMind Media Limited. © 2019 LikeMind Media Limited.